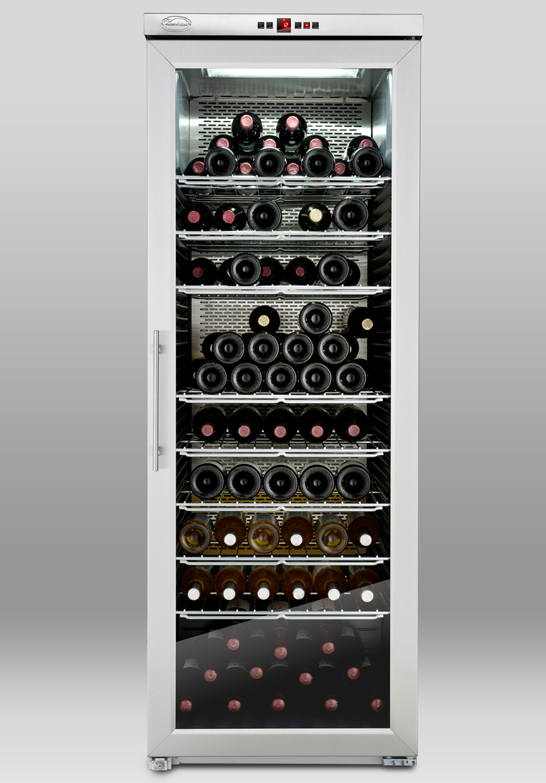 A wine storage refrigerator from Chambrair ensures the optimal storage conditions and the perfect cooling for your valuable wines. 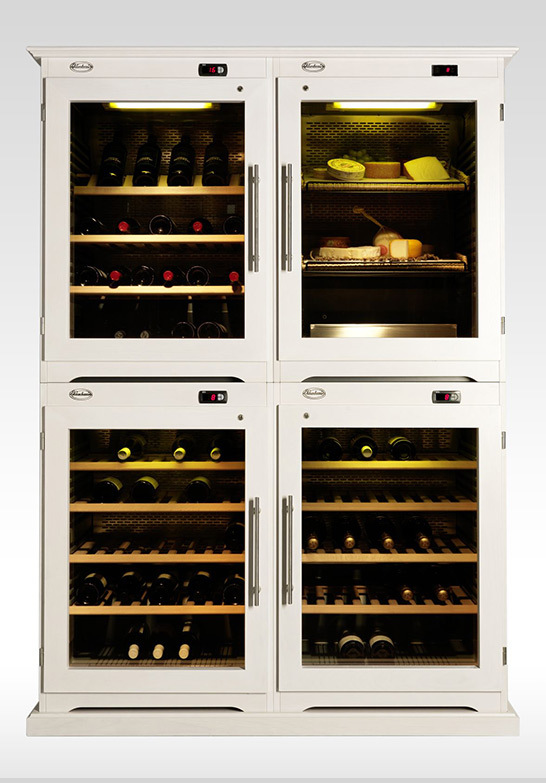 It therefore guarantees culinary delight – while at the same time preserving the value of your wine collection. 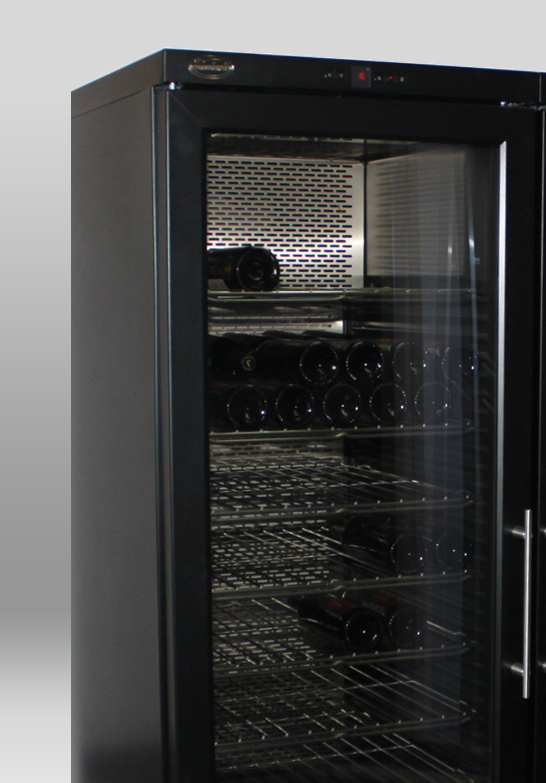 For more than 30 years, Chambrair has specialised in wine climatization. 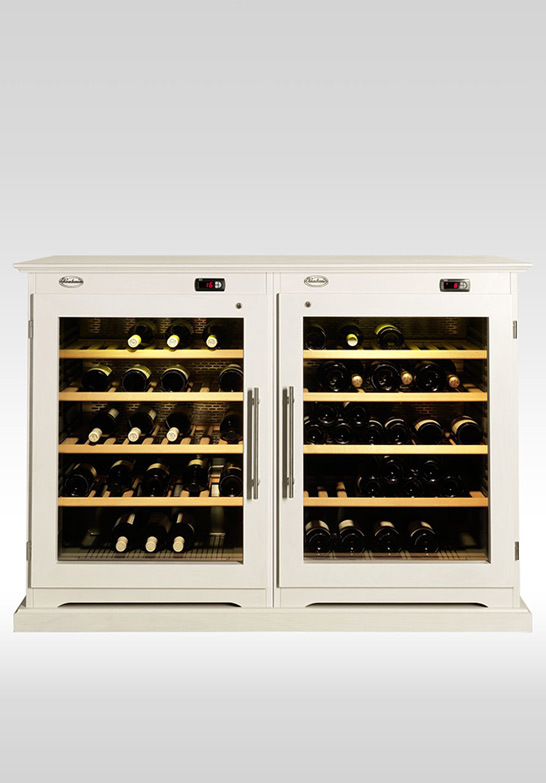 Click here for more information about the advantages of each model. 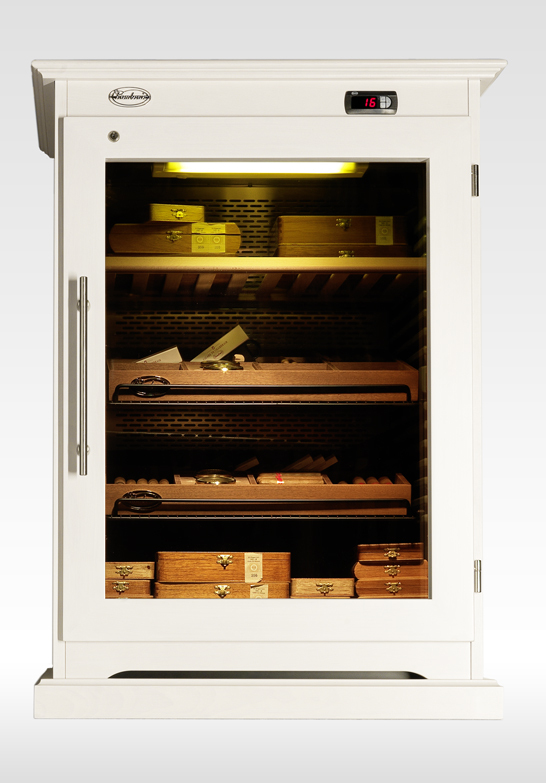 We are happy to provide any advice on questions you may have. 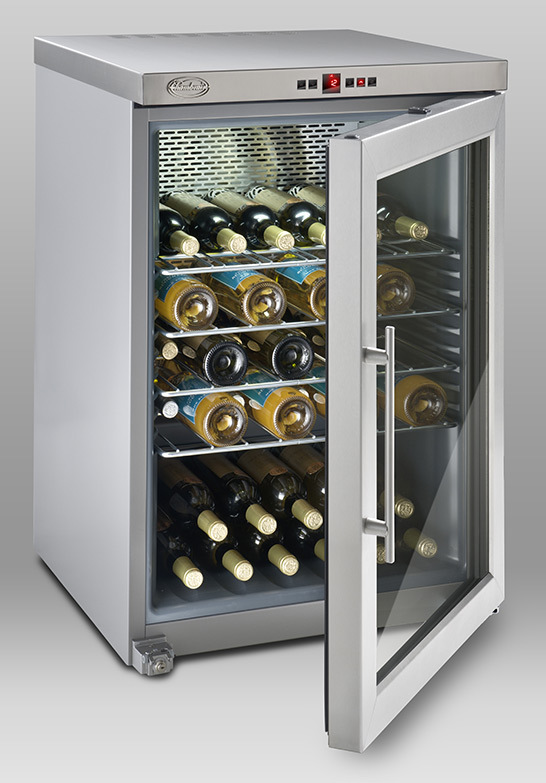 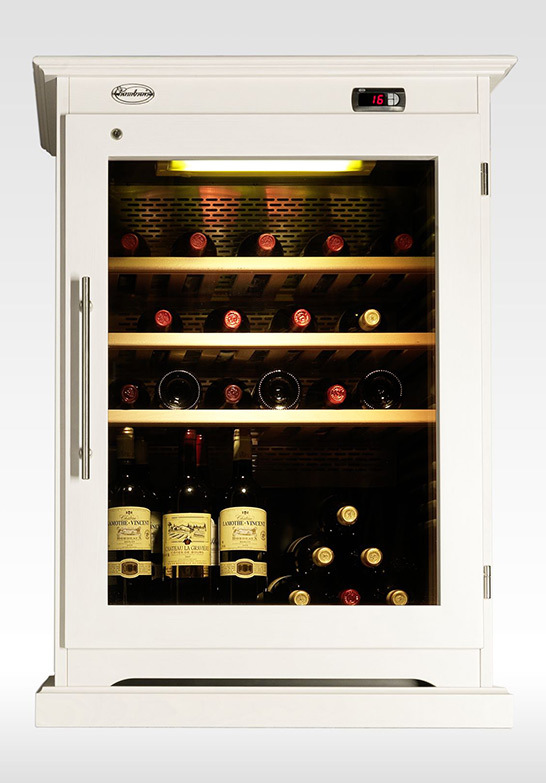 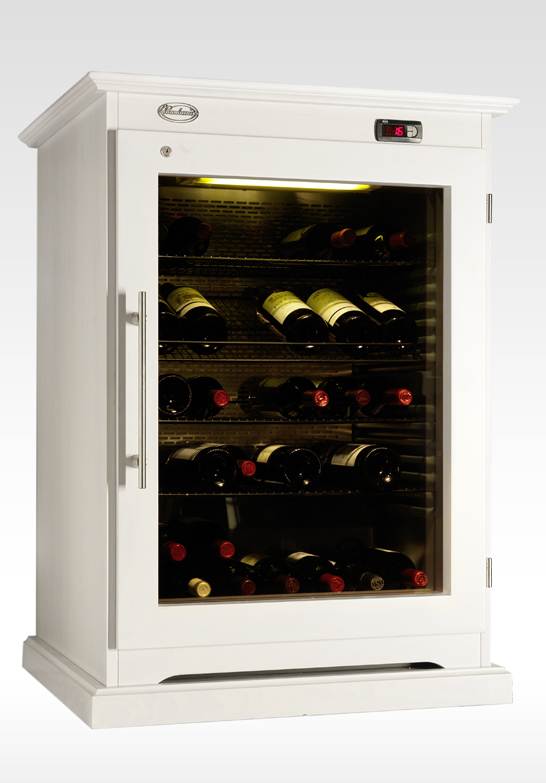 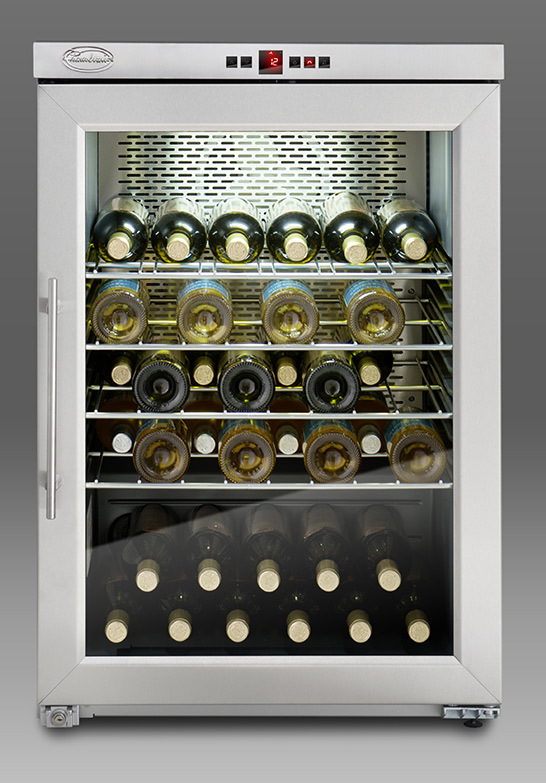 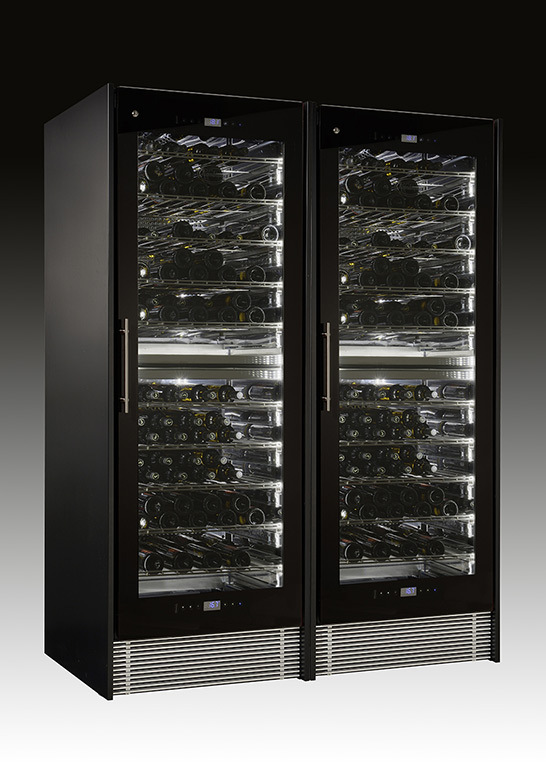 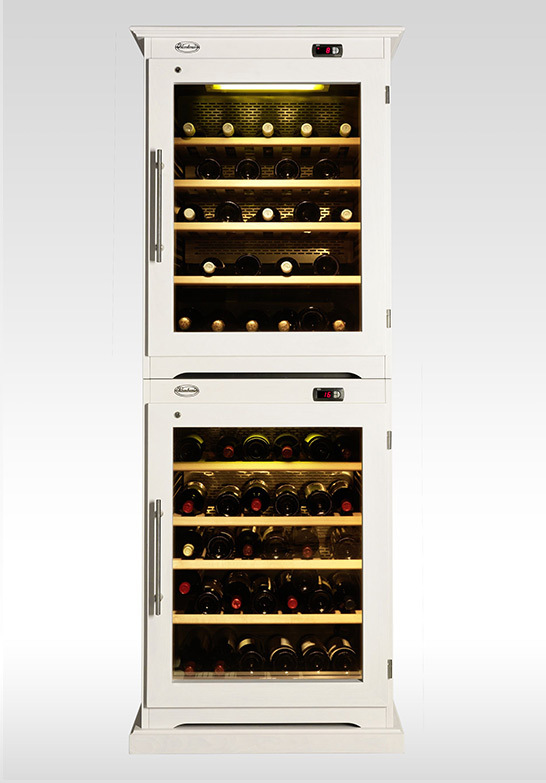 The Chambrair Professional is the ideal wine refrigerator in order to care for your wine treasures for decades. 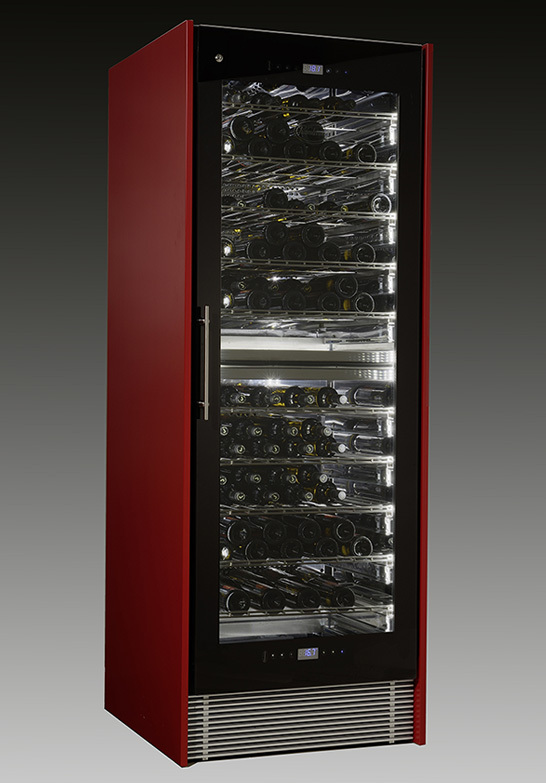 “Professional 100” provides capacity for up to 58 bottles. 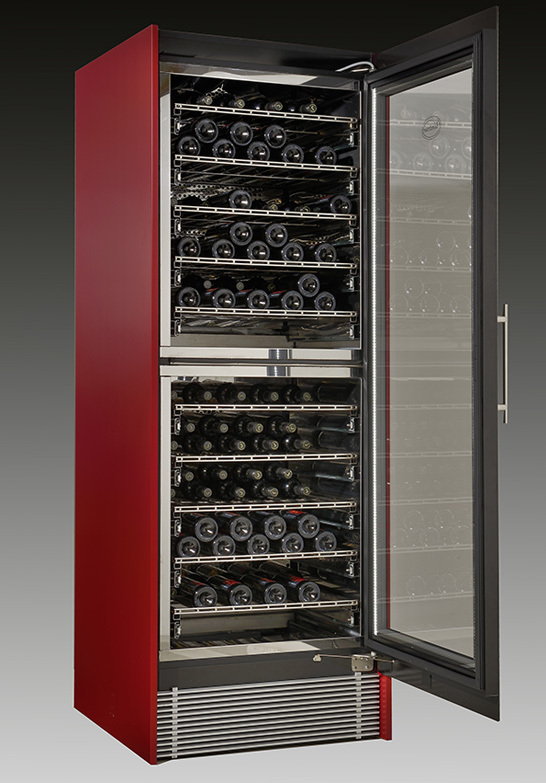 “Professional 200” provides almost three times the capacity, with 156 bottles. 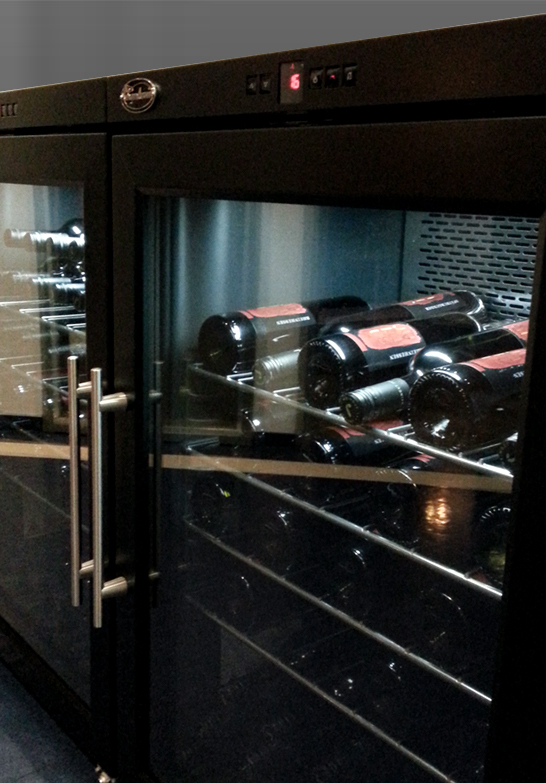 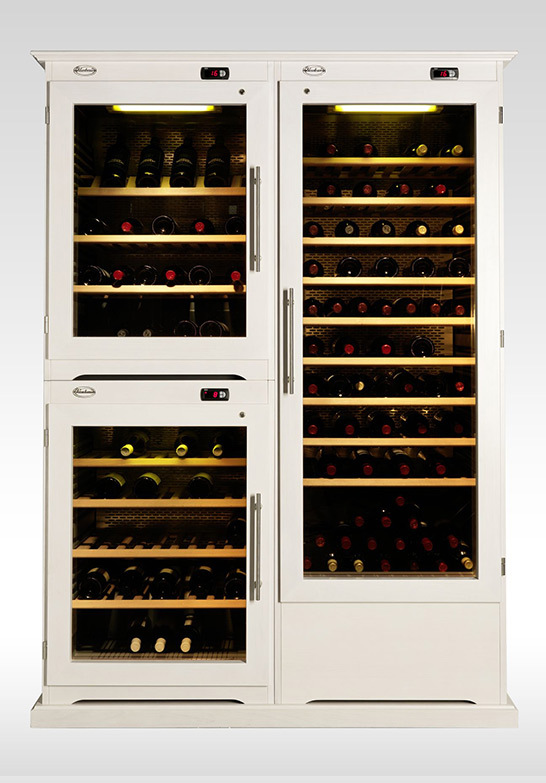 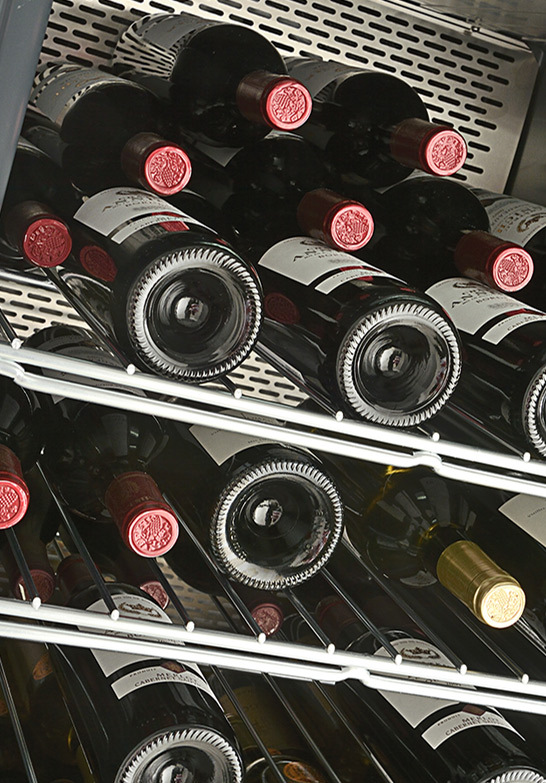 You determine the surface of our Chambrair – wine storage refrigerators! 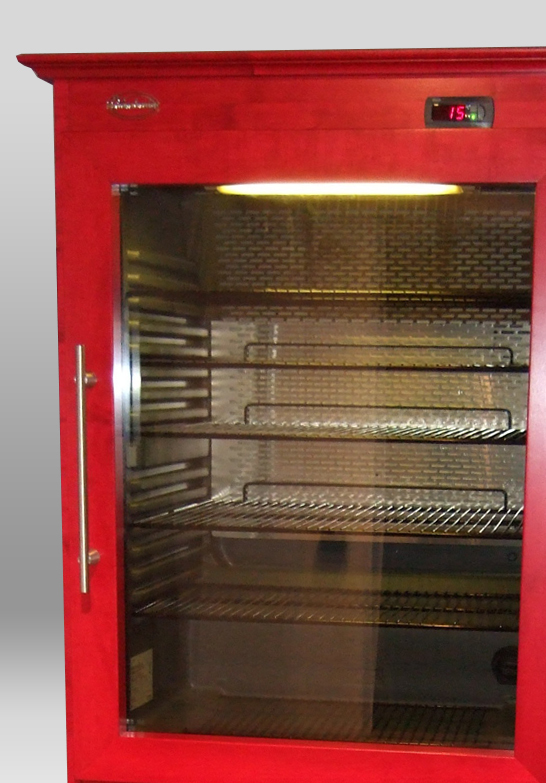 We are also happy to produce individual cladding for you, such as burnished steel! 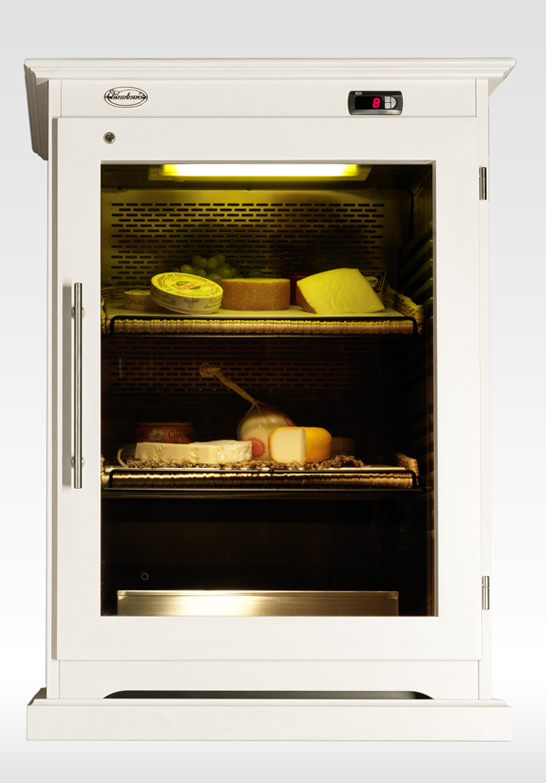 Equally, the interior, the lighting and the grilles can also be chosen by you and adapted to your individual needs. 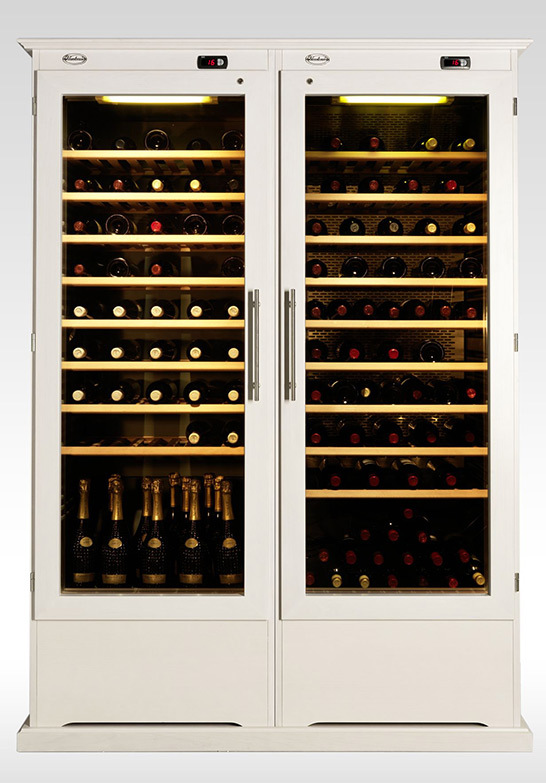 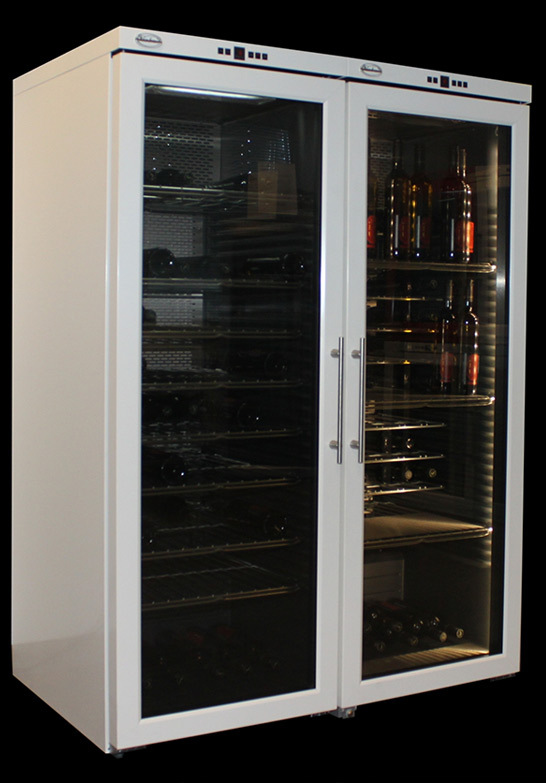 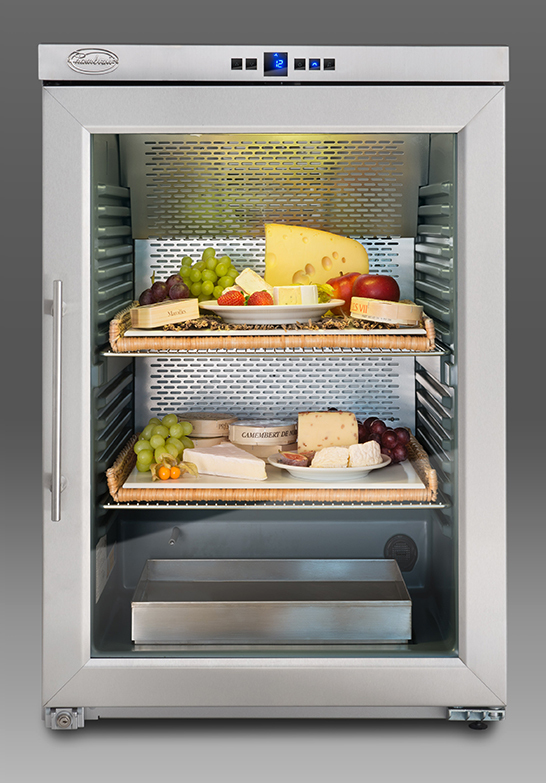 This allows you to create a truly bespoke device – your very own Chambrair – wine storage refrigerator. 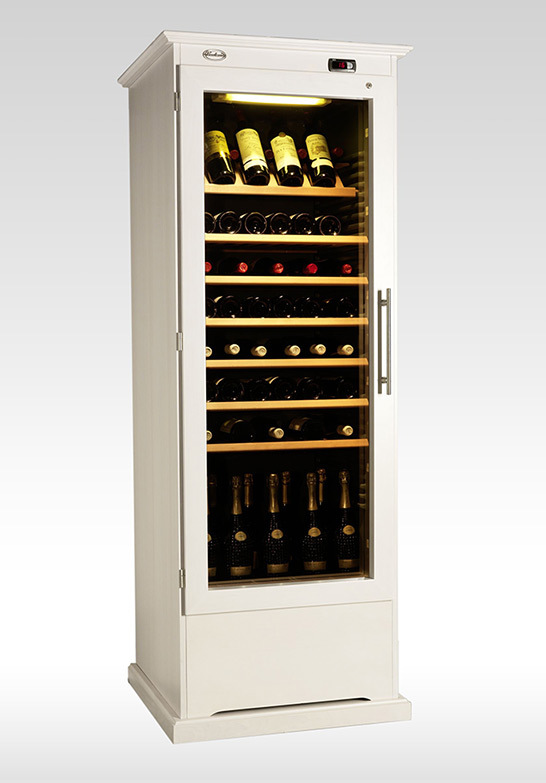 Combine our climate cabinets as a sideboard for your red and white wines! 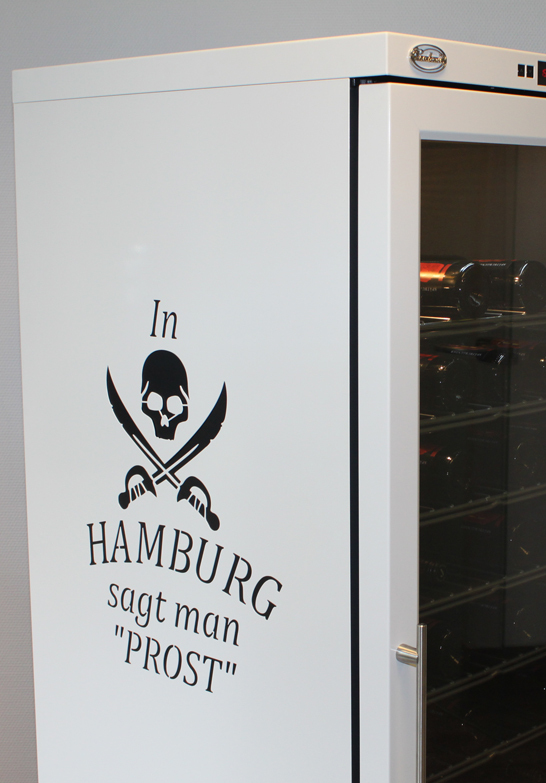 Each wine storage refrigerator from the Chambrair premium series “Elégance” is hand-crafted as an individual piece of furniture in our Hamburg workshop. 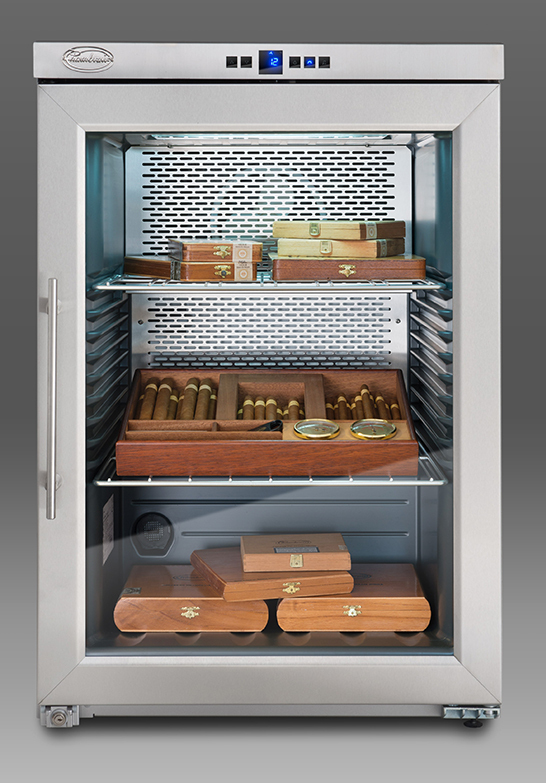 Our preferred material is wood. 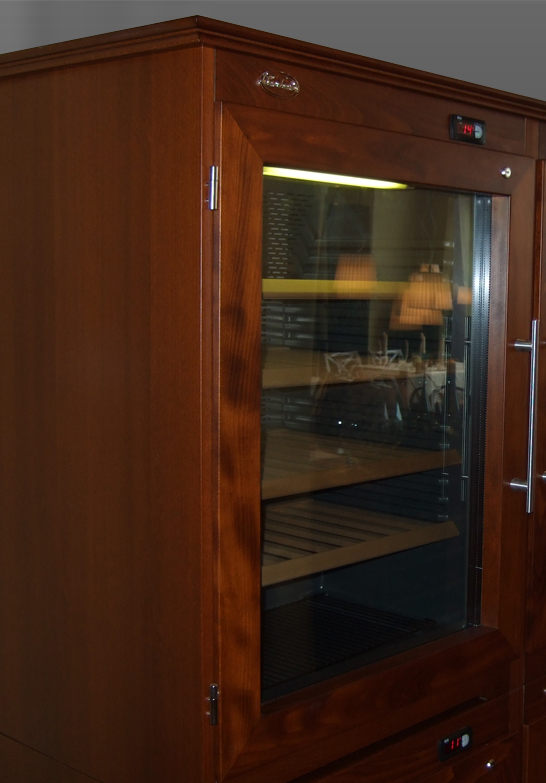 We connect the warm and sensual wooden charm with another sense: pleasure. 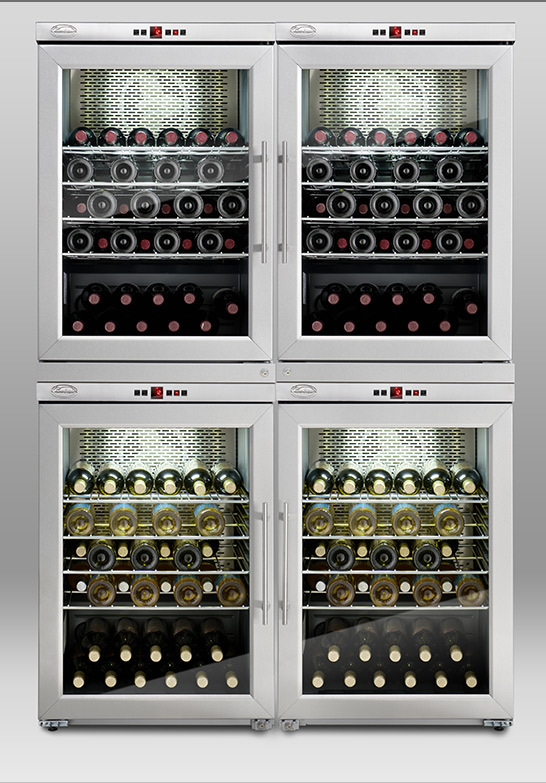 The heart of the Elégance range – like all of our wine storage refrigerators – is its sophisticated cooling and climate technology. 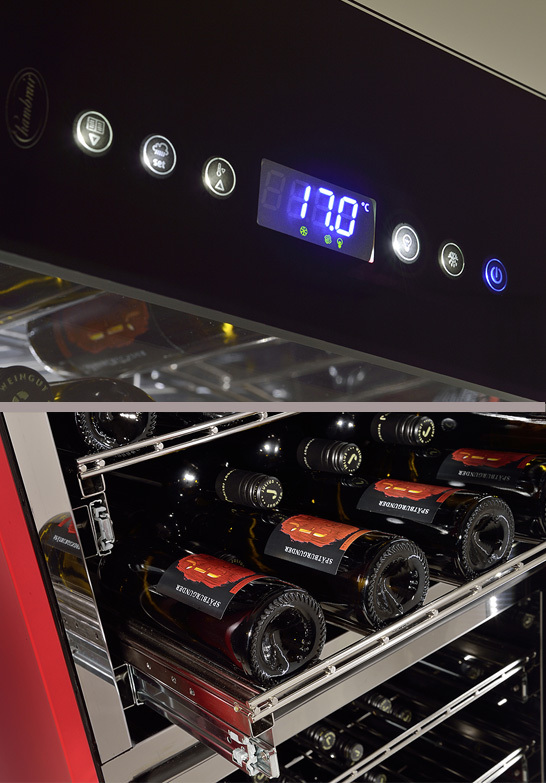 This allows you to serve top wines at the right temperature, while also ensuring the optimal storage for many years. 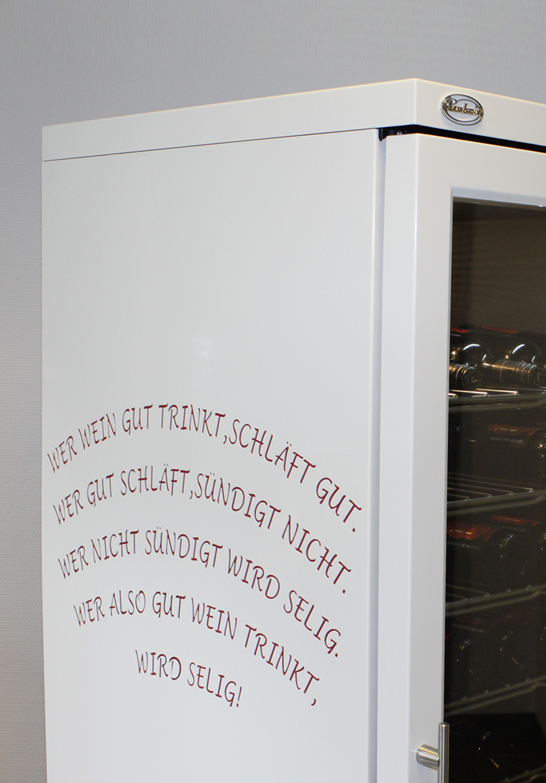 The corpus of your wine refrigerator makes it a unique piece. 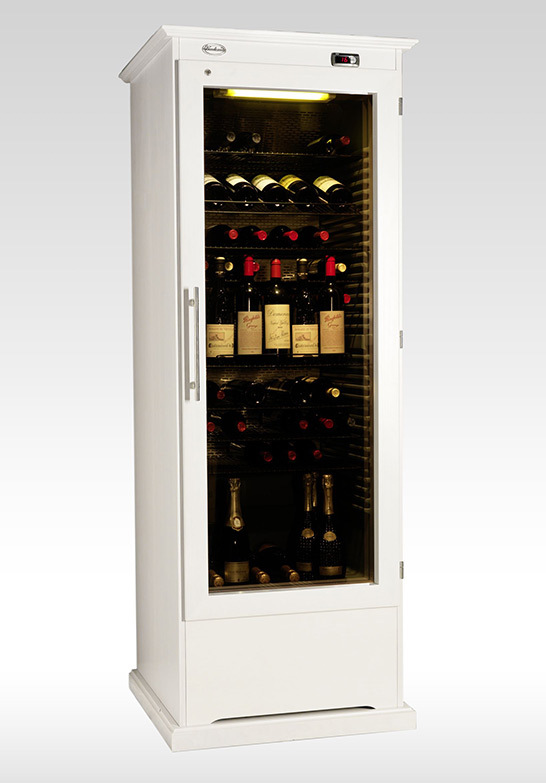 A Chambrair – climate cabinet “Elégance” will delight you in the long term – and guarantee the admiration of your guests. 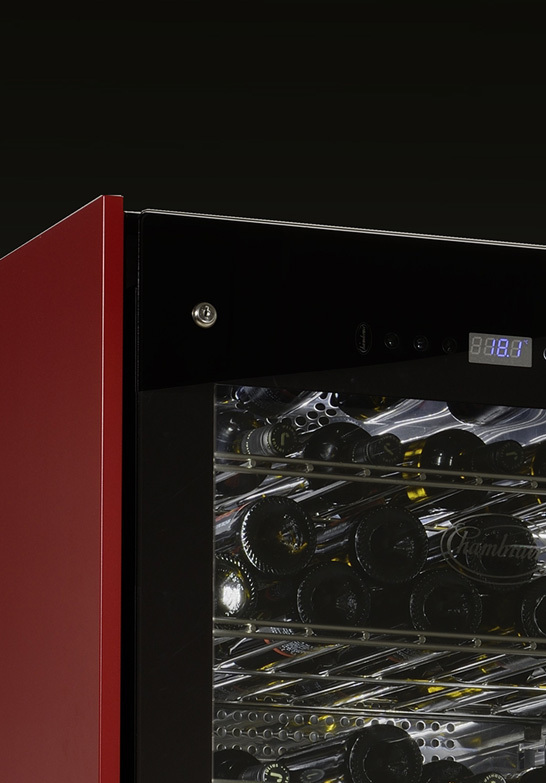 Not only for your excellent taste in wine. 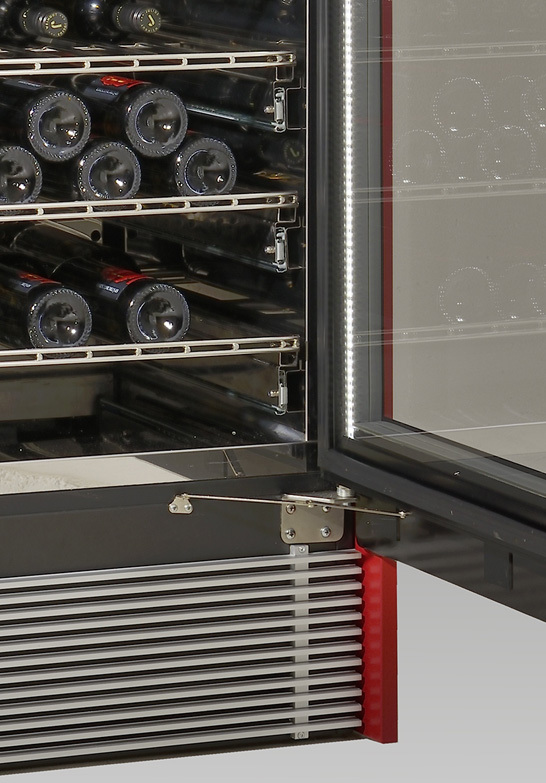 With the product line “Prestige” Chambrair managed to develop a wine storage refrigerator that combines all cooling and functional requirements of professional wine storage at maximum bottle volume and with two separate climate zones. 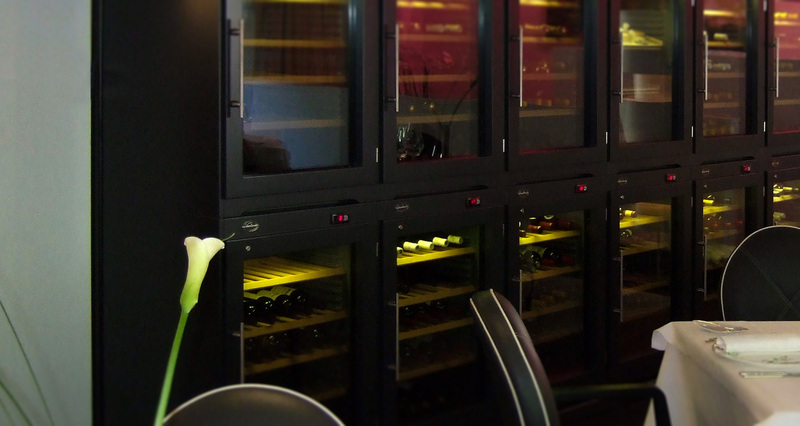 In its form and design it meets even the most exclusive expectations, it is extremely convertible, and its décor is unique. 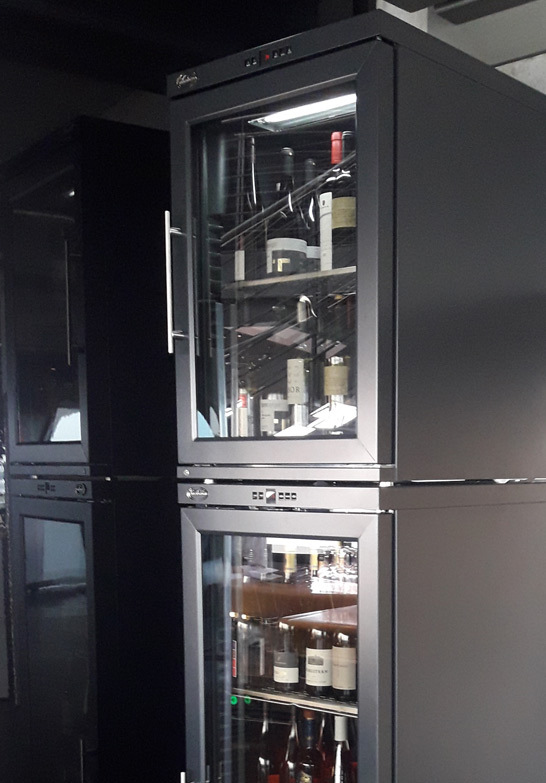 There is space for 160 bottles in the Prestige wine storage refrigerator – making it just as interesting for restaurants as for wine lovers with large collections.